Tupac Shakur was one of hip hip's most notorious and controversial icons. His untimely death at the age of twenty-five sent shockwaves through the music world. 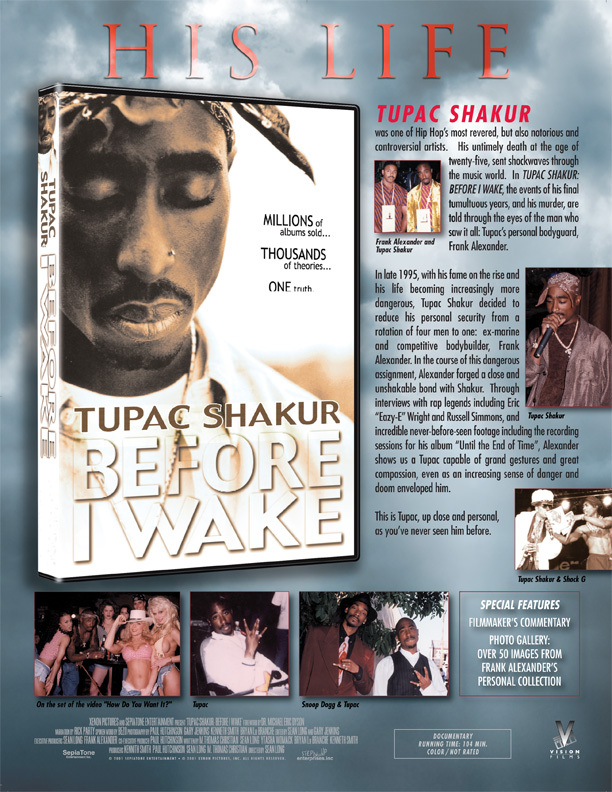 In Tupac Shakur: Before I Wake, the events of his final tumultuous year, and his murder, are told through the eyes of the man who saw it all: Tupac's personal bodyguard, Frank Alexander. 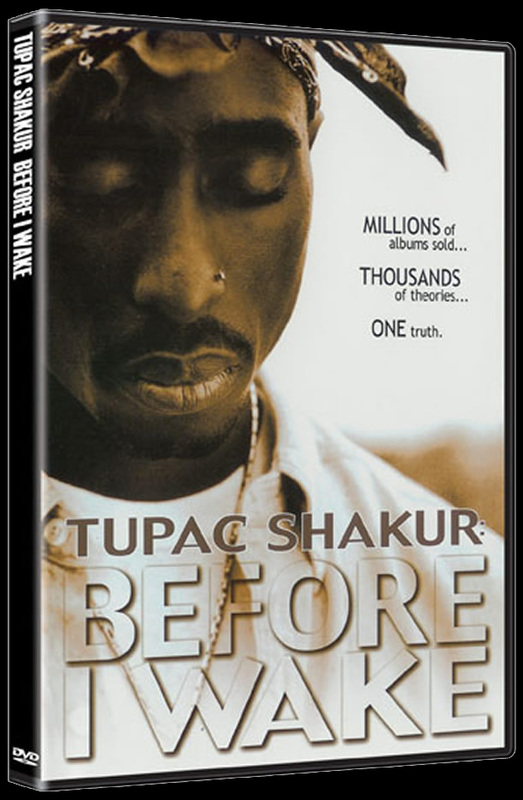 In late 1995, with his fame on the rise and his life becoming increasingly more dangerous, Tupac Shakur decided to reduce his personal security from a rotation of four men to one: ex-marine and competitive bodybuilder, Frank Alexander. In the course of this dangerous assignment, Alexander forged a close and unshakable bond with Shakur. Through interviews with rap legends including Eric "Eazy-E" Wright and Russell Simmons and incredible never-before-seen footage including the recording sessions for his album "Until the End of Time", Alexander shows us a Tupac capable of grand gestures and great compassion, even as an increasing sense of danger and doom enveloped him. This is Tupac, up close and personal, as you've never seen him before.